I recently picked up an older used Dual M2. The Z motor was unfortunately failing, and I decided while I'm at it I'd just upgrade everything to Rev. E.
I was not feeling the exposed HBP wires, especially after reading how many users have had them catch and break. I decided to go about replicating the aluminum harness on the Rev. E machines! Drill and countersink the two M4 screws left of center to help clean HBP wires. 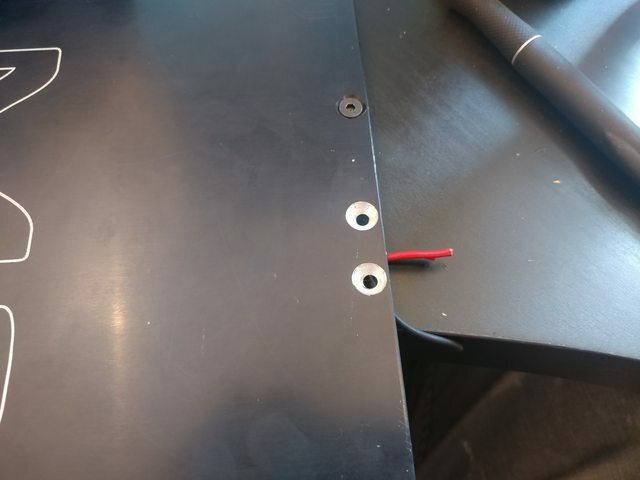 Holes are 20mm apart from center, and both are aproximately 5.5mm from the edge. Route HBP wires up the right side and run loom over the top. 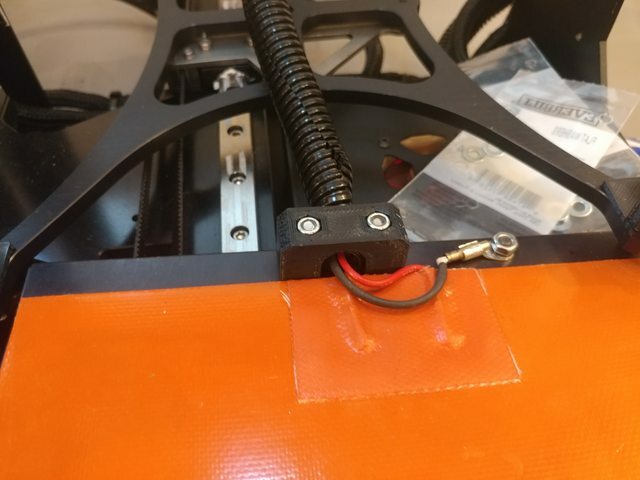 Zip tie to other wires behind electronics enclosure. 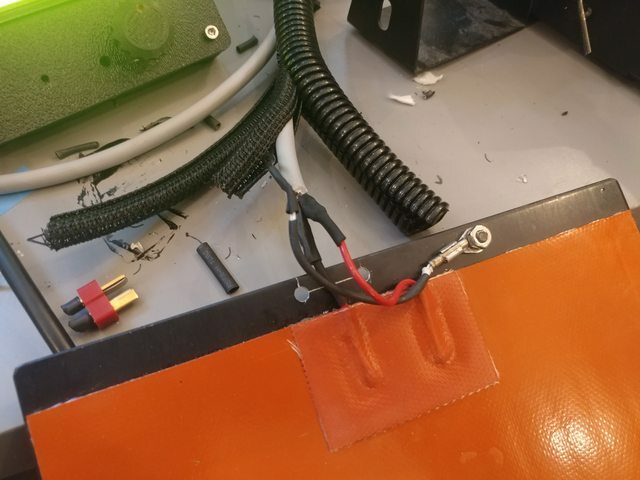 Remove connectors, solder and heat shrink wires. For reference, HBP and thermistor have no polarity! 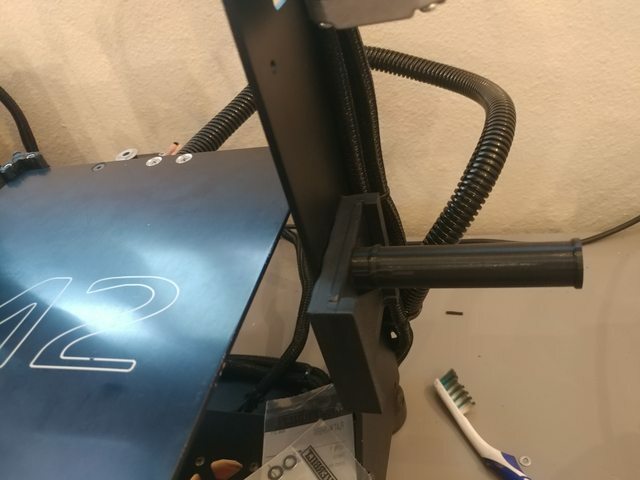 Pull a small amount of the loom through the printed bracket, and bolt into place! Excellent idea! I'll give the same I try next time I need to tear one apart.